Here’s Miley Cyrus’ hairstyles over the years. Miley Cyrus caught attention in a short braided mohawk hairstyle during the AmFar Inspiration Gala on June 16, 2015. 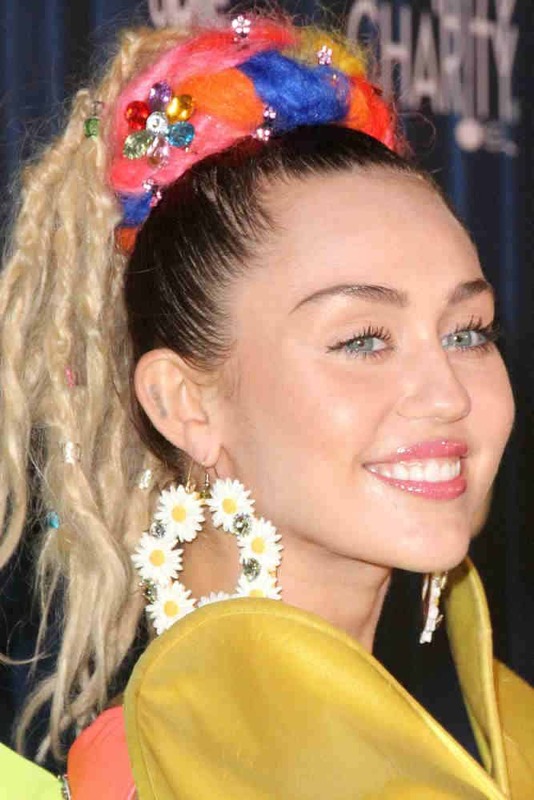 Miley Cyrus playfully wears a slicked back ponytail hairstyle with blonde dreadlocks extensions at the Hilarity for Charity's James Franco's Bar Mitzvah on October 17, 2015. Miley Cyrus returned to her country roots with this loose waves hairstyle with a cowboy hat during her NBC "Today" show concert series performance on May 26, 2017. Miley Cyrus wears a fresh short haircut in a cute softly angled pixie style at the W Magazine`s Shooting Stars Exhibit on January 9, 2015. Miley Cyrus fixed her short golden-blonde hair into a sleek side-parted pixie style as she arrives to the Tom Ford Autumn/Winter 2015 Womenswear Collection Presentation on February 20, 2015. Miley Cyrus looked positively radiant as she wore her pixie blonde locks slicked back at the Grammy Awards 2015 on February 8, 2015. More: Check out Miley Cyrus’ home here.